The Net Gate — MacOS Data – Housekeeping ! 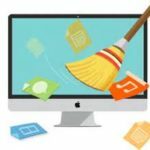 MacOS Data – Housekeeping ! Mac users may have lots of valuable data stored on their precious device. Unless you are sharing this data on a cloud, you are prone to data loss. Here are some housekeeping rules I am using to mitigate the risks of such data loss, without the use of cloud services, but relying on my own external hard drives. Select Inbox and use the “Export Mailbox” function in the Mailbox tab to save the file in a dedicated folder (e.g. a Documents subfolder named ‘mailbag’). You need to repeat this for each mailbox, including the folders ‘On my Mac’. If you are short on internal disk space, you may opt to export the files directly to an external drive (either USB- or network-attached). Use the “Export” to “Contacts Archive” function in the File tab to save the file in a dedicated folder (e.g. a Documents subfolder named ‘mycontacts’). If you are short on internal disk space, you may opt to export the file directly to an external drive (either USB- or network-attached). Use the “Export” to “Calendar Archive” function in the File tab to save the file in a dedicated folder (e.g. a Documents subfolder named ‘mycalendar’). If you are short on internal disk space, you may opt to export the file directly to an external drive (either USB- or network-attached). Make regular backups of your data on an external drive and store it in a safe place. Posted by bioss at 5:42 pm on January 8th, 2017. Categories: consultancy. Tags: Mac OS.